The last few years have seen some really tough times for consumers in the United Kingdom, and the high levels of unemployment and government cuts are starting to have a real impact on everyone. As a result people are starting to cut down, but not in the areas most people would expect. Whilst logically people would cut down on takeaway pizza and sky television, dominoes and sky subscriptions have soared and shockingly people are starting to cut down on their insurance instead. Home insurance is one particular area where people can legally not take out insurance, which makes very little sense given the value of possessions in the home, and the actual structure itself. While car insurance is a legal requirement of driving on the roads, home insurance is not, but the consequences of not having it are huge. There are a huge number of ways in which you could need to claim on your home insurance, and whilst many are extremely unexpected, flooding, theft, fire, can all happen and when they do the financial consequences are often extreme. 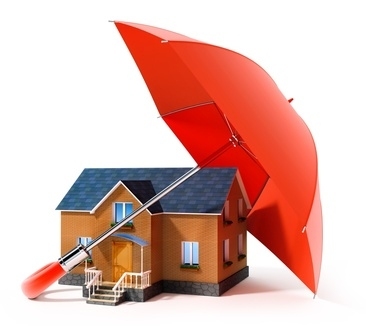 Home insurance is generally made up of two different parts, contents insurance and buildings insurance. Those who live in rented or leasehold accommodation may not need the buildings aspect of the cover as this may have been taken out by someone else, but their contents cover is a must. Whilst some people are choosing to not take out home insurance altogether, others are choosing to underestimate the value of their possessions. This again is extremely risky as you will be surprised at how much the things you need in everyday life actually cost. Many families’ wardrobe contents cost as much as £10,000, and by the time you have added necessities like pots and pans, a microwave, cutlery, crockery, glasses, a washing machine, a table and chairs to sit at, a sofa, a television and beds you start to understand why estimating the contents of your home accurately is so important, just in case you lose it all.